2" Sticky Critters Vending Capsules - 250 ct. There's something about sticky toys that make kids so excited. 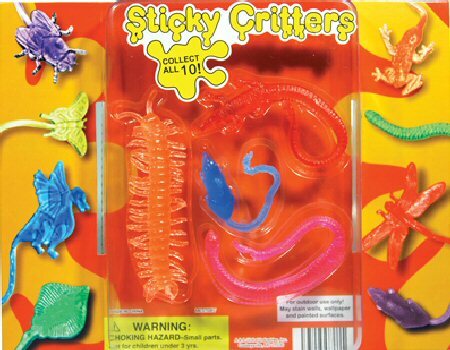 This collection of Sticky Critters features frogs, snakes, flies and more. Their fun, bright colors will capture the attention of any child. Collect all 10 pesky creatures. The display card (as pictured above) is a blister pack with a sampling of the items found in the mix and is included FREE.